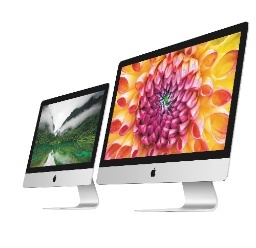 Needham analyst Charlie Wolf notes that Macintosh sales appear to defy the laws of economics. That is, while PC prices have gone down and Macs became relatively more expensive, Mac market share has increased. There are several obvious reasons for this. PCs have historically been very difficult to manage for home users. OS upgrades have been so difficult and expensive, a new OS is obtained only (and often grudgingly) with the purchase of a new PC. That primed the pump of disgruntlement. Then, in 2010, the iPad ushered in the post-PC era causing PC sales to eventually plummet. Meanwhile, iPhone and iPad buyers who needed a PC-type of product figured that if Apple can do such a good job with those iOS products, a Mac is a good thing to look at as well. Apple's retail stores make that easy. It's the reverse halo effect. The fact is, a notebook or desktop computer is still a necessity for many users. Not all, but many. This type of computing device can have a large display, perhaps two, and make life easier for many kinds of creative and management tasks. The question is, what's a good choice for those kinds of activities? A Mac does a great job and is pleasant to use. It exudes quality plus simplicity, and guess what? They're on majestic display right next to the iPads and iPhones in a local Apple store. I think the bigger question is where this is all this leading? I surmise that the PC vendors, without growth, are dismayed. There's no money to be made selling PCs these days, and so only those who have a viable foreign market like Lenovo can make good money. Everyone else in the U.S. will, I believe, eventually throw in the towel for financial reasons. In contrast, Apple has a built-in profit mechanism in the Mac. Apple is dedicated to making the best, and as the article linked to above points out, the average Mac price is US$700 more than competing machines. Apple has no financial incentive to stop making Macs. Moreover, because the Mac can still do things that at standard iPad cannot do, there's no sign that Apple wants to eviscerate the Mac by turning it into some kind of super hybrid tablet. Here's the story on that: "Phil Schiller Says Merging OS X And iOS Would Be A ‘Waste Of Energy’" That's a comforting perspective by Mr. Schiller. As a result, the Mac as we know it can be expected to be more and more useful to users who have opted for Apple products and Apple continues to make good money selling them. A steadily advancing, focused and free OS X makes the proposition even more compelling. Look to the late 2013 Mac Pro for Apple's sense of direction. I think that at some point, in a few years, when the PC market is in really bad shape, (and even Proctor and Gamble is selling its own tablet) one in four or even one in three PCs sold in the U.S. could be the super Mac of the future. And it will be a sight to behold. The week's Tech News Debris, especially good in this edition, continues on page 2. I was busy with Macworld duties last week, and so there was no Particle Debris for March 28. Some of the items below go back slightly more than a week. We think of iOS as a great mobile OS, but here's an interesting survey article by Marco Tabini that covers the ways iOS could be used in the home. "Wall to wall Apple: How iOS could make its way into your home." The article, appropriately, ends with a discussion about how, as iOS percolates more and more into our home, car and personal life, there's an even greater need for our privacy and security. There was a time when Microsoft used MS Office as a bludgeon to force users into Windows — with a minor concession to OS X. However, with the announcement of MS Office for iPad, Jonny Evans at Computerworld sees a more platform agnostic technology future. In other words, Hell has pleasantly frozen over. 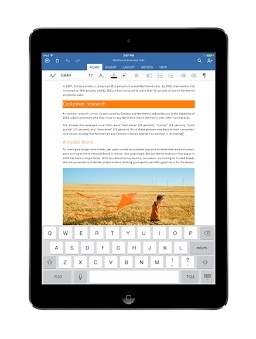 A nice read: "Office for iPad marks end of the platform wars." The next article by The Street's Rocco Pendola is the best, most insightful article he's ever written about Apple. It's the Particle Debris pick of the week. "How Apple Could Become America's Most Hated Company." Rocco, these days, gets Apple. When tech writers take a break from what they usually do and step back, with insight, it can be a good thing. When Brian S. Hall does it, it's a great thing. Take a break yourself from your tech overload and overlords and take a pleasant journey with this very good writer. Simple title, deep thoughts: "The Computer Chronicles." David Pierce at The Verge has a very sound notion here. "Why Amazon's Fire TV is a guaranteed hit." And he's absolutely correct. However, there's more (actually less) to this product than meets the eye, as I explain over at The Street. "Apple's Vision Shreds Amazon Fire TV, Other Competitors." Finally, this is a spot on article. For investors, Bill Maurer at Seeking Alpha takes a critical look at Apple's cash, where it is, and reasonable stock buyback options. It's insightful, easy to read, crisp and researched. "Apple Investors May Need A Reality Check." Particle Debris is a generally a mix of John Martellaro's observations and opinions about a standout event or article of the week (preamble on page 1) followed by a discussion of articles that didn't make the TMO headlines, the technical news debris. The column is published most every Friday except for holidays.